If you don't see the weatherstripping you are looking for, don't forget to look under the Original Chrysler Truck Parts Weatherstripping section! For Models with either Black or Chrome Windshield Trim - Includes Door Seals, Glass Run Seals, Vent Post Glass Run Seals, Beltline Kit, Vent Weatherstrips, Front Windshield Seal, Rear Window Seal, and comes with both Black & Chrome Lockstrips for window seals (for either use). Please refer to separate listing below for illustrations. RS-40049573 1948-53 Dodge P/U $ 149.95/pr. TW-DWP311XD061 1961-1971 Dodge P/U Conventional Cab D100-800 & Crew Cab 200-700 - Door Weatherstrip (pair) $ 139.95/pr. TW-DWP311XD072 1972-1977 Dodge P/U Conventional Cab D100-800 & Crew Cab 200-700 - Door Weatherstrip (glues on body; pair) $ 139.95/pr. 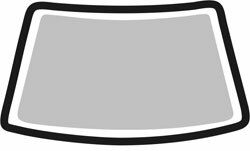 TW-DWP311XD078 1978-1993 Dodge P/U Conventional Cab D100-800 & Crew Cab 200-700 - Door Weatherstrip (fits on body; pair) $ 139.95/pr. TW-DWP311XD094 1994-2002 Dodge Ram P/U Standard/Club Cab $ 139.95/pr. TW-DWP311XD098 1998-2002 Dodge Ram P/U Extended Cab $ 139.95/pr. TW-DWRL311XD098 1998-2001 Dodge Ram 1500 & 1998-2002 Dodge Ram 2500/3500 - Quad cab only - Pair (fits on body) $ 159.95/pr. 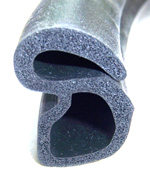 TW-DWP311XD072 1974-1977 Ramcharger Door Weatherstrip (glues on body; pair) $ 139.95/pr. 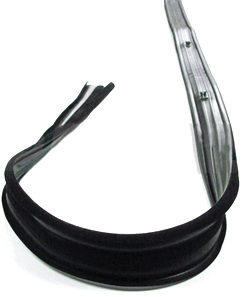 TW-DWP311XD078 1978-1993 Ramcharger Door Weatherstrip (fits on body; pair) $ 139.95/pr. TW-DWP311XD087 1987-1996 Dodge Dakota Pickup Door Weatherstrip (fits on body; pair) $ 139.95/pr. Runs around the upper door where the glass seals to the top of the door, or in some cases, top, back & sides of door or, the divider seal between the vent window and main window. TW-GRL311XD087 1987-1996 Dodge Dakota Glass Run Seals (Top, Back & Front) - Left 69.95 ea. TW-GRR311XD087 1987-1996 Dodge Dakota Glass Run Seals (Top, Back & Front) - Right 69.95 ea. TW-GRB311XD061 1961-1971 Conventional Cab D100-800 & Crew Cab 200-700 - Top & Back, LH or RH, Each 44.95 ea. TW-GRB311XD072 1972-1993 Conventional Cab D100-800 & Crew Cab 200-700 & 1974-93 Ramcharger - Top & Back of Front Door & 1978-1993 Front of Rear Door; sold each 54.95 ea. TW-GRB311XD094L 1994-2002 Conventional Cab D100-800 & Crew Cab 200-700 - Top, Back & Front - LH $ 49.95 ea. TW-GRB311XD094R 1994-2002 Conventional Cab D100-800 & Crew Cab 200-700 - Top, Back & Front - RH $ 49.95 ea. Seals between the front door glass and the vent window post; has felt on inside. (39" long each; need 2) $ 39.95 ea. (need 2) $ 59.95 ea. Runs across the top of door; wipes the window as you roll it up or down. 1 - (4 pc) beltline kit, 2 - glass run seals & 2 - vent post glass run seals; 8 piece kit. TW-75534 1972-1977 Dodge Truck Pickup - Pair $ 169.95/pr. TW-VWK311XD078R 1978-1986 Dodge Truck Pickup - Right $ 89.95 ea. TW-VWK311XD078L 1978-1986 Dodge Truck Pickup - Left $ 89.95 ea. 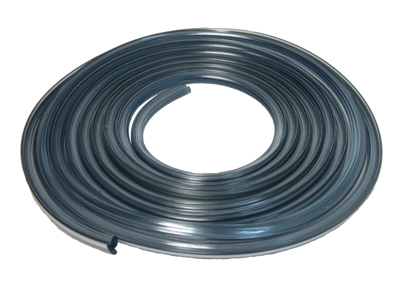 TW-WCRDXD425 1956-1960 Dodge Pickup weatherstrip accepts lockstrip (lockstrip not included*) $ 189.95 ea. (lockstrip not included*) $ 189.95 ea. 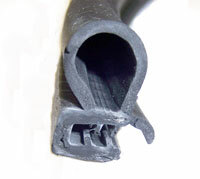 TW-WBLXD383 1979-1986 Dodge Ram 50 weatherstrip; does not accept lockstrip $ 189.95 ea. *Order chrome or black lockstrip below. One item does one window. Order 2 for both front windshield & rear window.